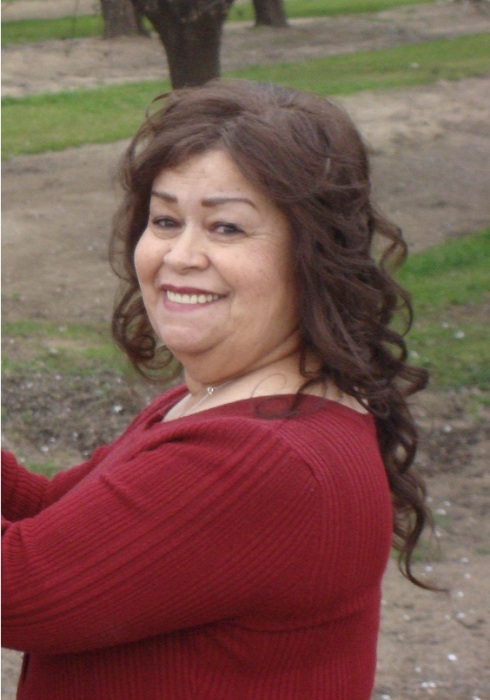 Our beloved Rebecca C. Moya also known as "Becca" passed away March 13, 2019 at the age of 71 in Porterville Ca. surrounded by her loved ones. She was born May 23, 1947 in Santa Clara Ca. Daughter of Jose and Victoria Moya. She attended John J Doyle Elemetary and Pioneer Middle School. Throughout her life time she was a Homemaker and also a Sales Clerk at Kmart and Rohrbachs Baby News. Her hobbies were arts and crafts, floral arrangements, holiday cooking, music and dancing. Everyone who knew her loved her. She was a Catholic woman, she touched many hearts through prayer, conversation and laughter. Over all, Rebecca will be missed by all, it is safe to say she was the epitome of a real family woman. In the words of her children and grandchildren, "she's the Queen of our hearts"
Rebecca was survived by her daughter Vicky and son in law Mike Hernandez, her sons: Frank Espinosa Sr., Gabriel Espinosa Sr., Sal Espinosa Sr., Juan Aguilar, Fernando and Victoria Estrada, sisters: Sandra Vigil, Carol Fabela, Pamela Barrios, Debbie Guttierez, Judy Rodriguez and Kimberly Russell: 20 grandchildren and 26 great-grandchildren. Rebecca was preceded in death by her parents Jose and Victoria Moya, Mother Juanita Andrews Russell brothers: Dale "Cokie" Andrews, Bruce Andrews, Keith Russell Sr., sisters: Elizabeth "Betsy" Fabela, Wendy Russell.